Welcome to Red Indigo, renowned for discerning and imaginative cuisine. At Red Indigo, we believe that your contact and your visit with us must be an enjoyable experience when you visit us in the Brecon Beacons at our restaurant in Hay-on-Wye. With our menu, we have modernised Indian Cuisine, taking it to it’s next level – yet still keeping it’s authentic flavours – but approached in a contemporary manner, with different accents from around the world added to the dishes, with particular care of hygiene when preparing food and packing takeaways, making your visit to our restaurants or your takeaway experience unique and delightful. Red Indigo is open 7 days a week. To order a takeaway or or to discuss food allergy or other dietary requirements before coming in for a meal, please call us at 01497 821999 in Hay-on-Wye. *Please read our Notes about Dietary Requirements before ordering. In compliance with Food Labelling Regulation – EC1169/2011, customers are advised to let our staff know if any food may cause allergic reaction prior to order. 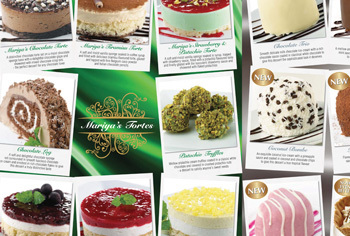 Have a look at our sample menus below. Before ordering, please speak to our staff about your food allergy or dietary requirements by calling us at 01497 821999. Please ask our staff for advice. We will be happy to help you with your selection. Minimum spend £10. Major credit cards accepted. Menu and Prices vary at discretion of restaurant. Menu and prices vary at discretion of restaurant. Our traditional main courses are comprised of a series of classic and succulent dishes. A famous Persian dish. A mixture of lentils in a sweet, sour and hot sauce is slowly cooked to give an authentic taste with contrasting flavours and textures. A slice of pineapple is added for sweetness and zest. Vegetable. Chicken or Lamb. Prawn. Chicken Tikka or Lamb Tikka. The famous Tikka Massala. 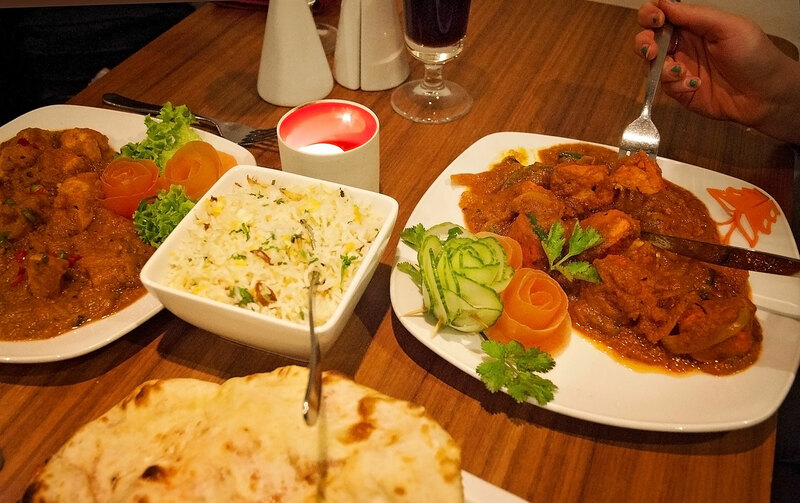 Succulent Tandoori meat served in a rich, creamy and lightly spiced sauce. 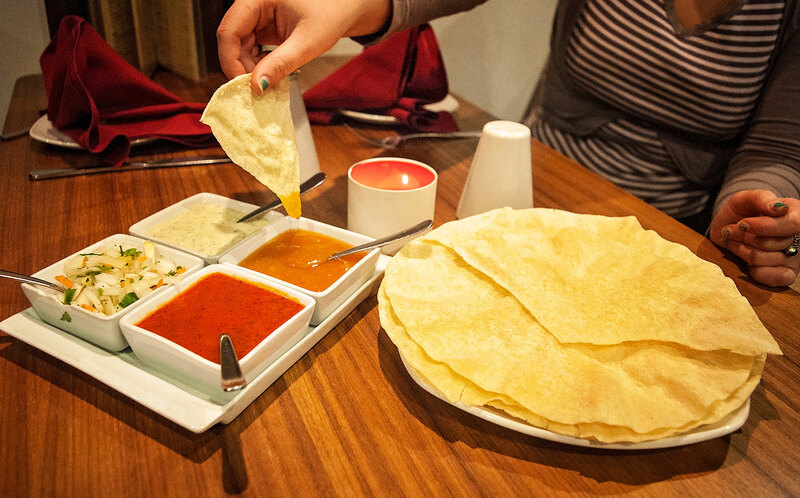 Aromatic and slightly smokey from the Tandoori, this dish is a nationwide favourite. Vegetable. Chicken or Lamb. The style of Balti cooking is indigenous to Baltistan. 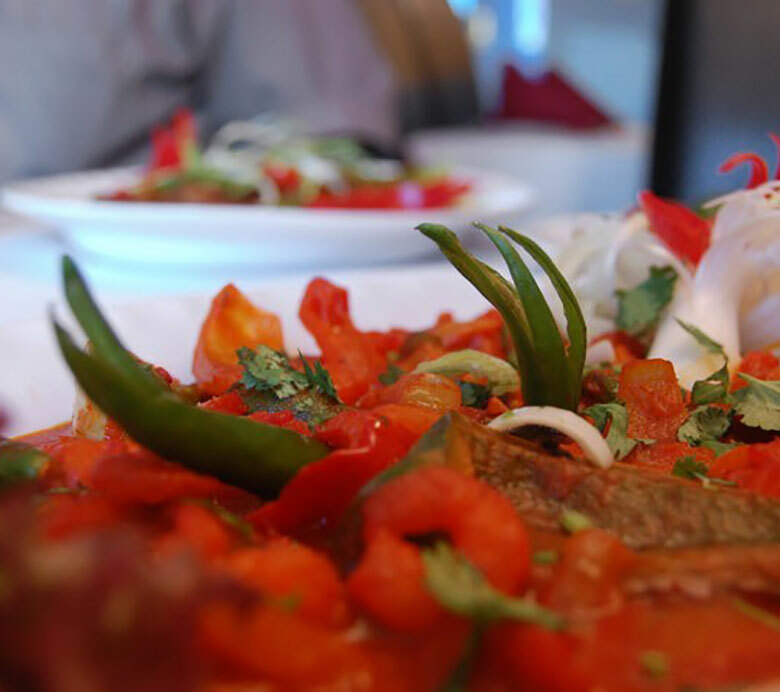 This dish is cooked in a sizzling wok with mixed spices, onions and tomatoes in a medium hot sauce. Vegetable. Chicken, Lamb or Prawn. Chicken Tikka or Lamb Tikka. Originated in the south of India in a city now known as Chennai. A hot, spicy sauce of onions, tomatoes, cumin seeds and chilli. Vegetable. Chicken, Lamb or Prawn. Chicken Tikka or Lamb Tikka. Duck. King Prawn. 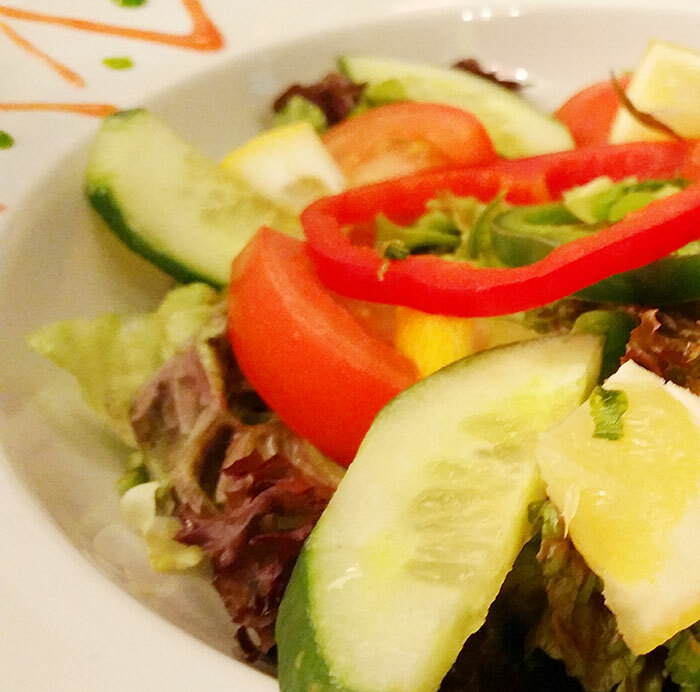 Freshly prepared vegetable dishes using the freshest herbs and spices ranging from mild to hot. Available as a side or main dish. Lentils garnished with fresh, fried garlic. Medium hot with lots of sauce. Potatoes tossed with cumin and fresh mint, with medium hot spices. A dry dish cooked with potatoes and florets of cauliflower. Also known as okra or lady’s fingers. Cooked in a medium dry sauce. Mushrooms and onions cooked in a lightly spiced dry sauce. Fresh spinach leaves tossed with potatoes. Authentic Indian cheese in a massala of baby spinach leaves & spices. Peas and Indian cheese simmered in a delicious sauce. Mushrooms cooked with garden peas and Indian cheese. Aubergine lightly fried with onions and spices. Chick peas cooked in light spices. 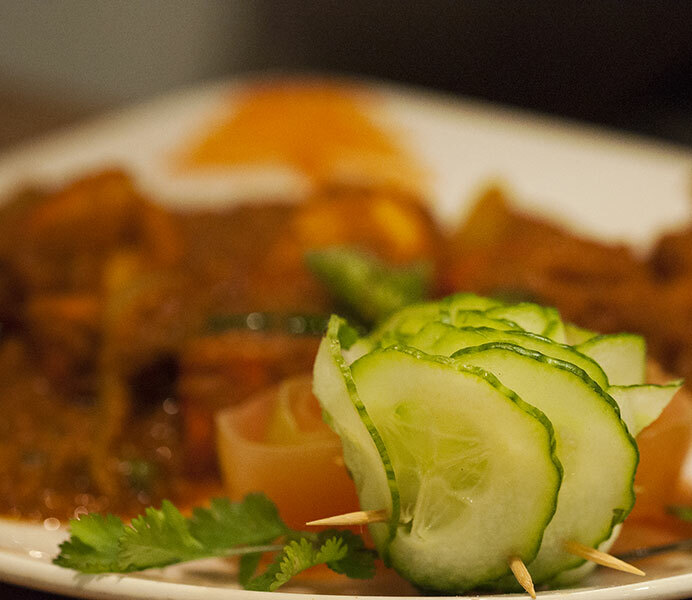 A sizzling dish enriched with a tangy onion and tomato sauce with aromatic Indian spices and herbs. Braised in a spiced masalla of garlic, onions and tomatoes with a tempering of Indian spices and crisp chilies. Simmering in oriental spices, coconut, pineapple and butter makes this dish smooth and creamy. A fresh exotic coconut shell filled with luscious coconut ice-cream topped with delicious coconut and succulent cherries – a true taste of the tropics! A fresh exotic mango shell filled with a luscious mango sorbet – an exquisite tropical taste. Luxury vanilla ice-cream enrobed in luscious toasted hazelnut crunch, a true combination for a perfect match made in heaven! The classic Karahi Kulfi ice-cream that holds the history of the Indian Royal Raj. Available in Pistachio, Mango, or Almond flavours this creamy and luscious ice-cream is a true royal dessert. Please include food allergy or dietary requirements when ordering, so that our staff can best assist you with your takeaway order or when you come in for a meal, in compliance with Food Labelling Regulations. Please include food allergy or dietary requirements when ordering, so that our staff can best assist you with your order, in compliance with Food Labelling Regulations. 01497 821999. menu and Prices vary at discretion of restaurant. Delicious curry. Lovely selection of side dishes. Great menu choice. Service very friendly and efficient. We visited this restaurant on 26 April 2017 after a day browsing in the lovely second hand bookshops around Hay On Wye. Everything was wonderful. The food was beautifully prepared and it was possible to taste individual spices and seasonings. Not a hint of grease anywhere. Just perfect. The service was understated and non intrusive. All in all a very enjoyable experience. concept developed by Eklim Khan. Our staff are friendly, courteous and attentive. We aim to ensure that your visit will make a lasting impression. 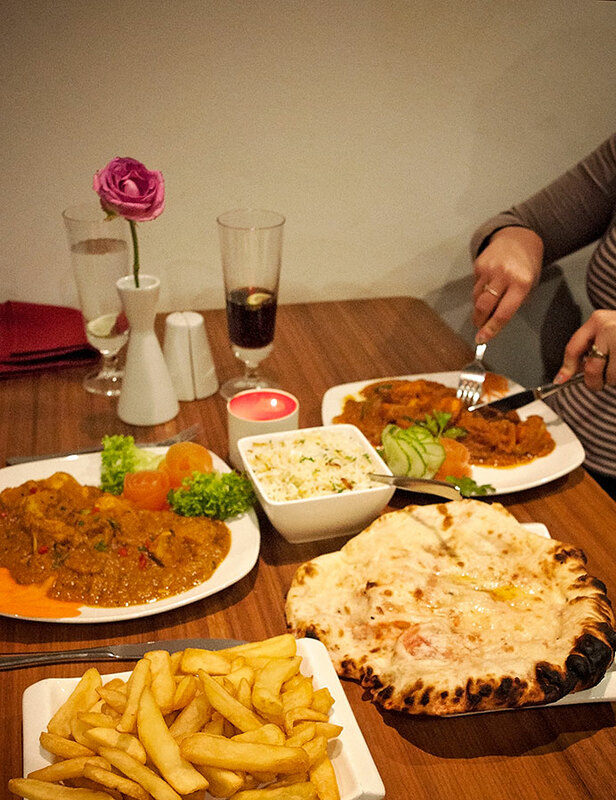 We cater for all types of gatherings in our restaurants and for takeaway orders in your home. Whether you’re planning a small intimate rendezvous or large get-together with family, friends or business groups. Get in touch and let us know when you plan to have your event.